To listen to the presidential candidates, both Republican and Democratic, you'd think our country's most pressing problems involve personal emails, or building a wall, or who gets bragging rights for being the most progressive or the biggest mouth. And while, of course, immigration reform is important and so are economic growth and racial equality, no wall is going to affect your life directly, and neither is an increase in the tax rate for people making over $200,000 per year. 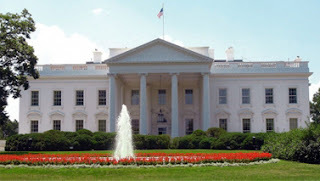 I'm suggesting that the following are the three biggest issues that directly affect our lives as average middle-class Americans -- all issues on which the candidates are completely silent. How can you disagree? 3) Nuclear weapons. After the Cold War both America and Russia dismantled a large portion of their nuclear arsenals. That should make us feel better, right? But both the U. S. and Russia still have about 7,000 nuclear weapons. France, China, the U.K., Pakistan, India, Israel and North Korea also have nuclear weapons. North Korea recently tested its fourth nuclear weapon, claimed to be an H-bomb, which is a thousand times more powerful than an A-bomb. North Korea already has the capability to threaten South Korea, Japan, China and other nearby countries, and it is currently trying to develop an intercontinental ballistic missile to reach the mainland United States. So, Mr. or Mrs. presidential candidate, what are you going to do about North Korea? Meanwhile, both Russia and the U. S. are testing smaller, more sophisticated nuclear weapons that could be delivered by precision-guided missiles. Russia's working on a nuclear-tipped torpedo. And evidence suggests that ISIS and other terrorist groups are attempting to get their hands on a nuclear device. For all these reasons, according to The Week magazine, the so-called Doomsday Clock, the symbolic countdown to Armageddon, last year was advanced from 11:55 p.m. to 11:57 p.m. -- or three minutes to total worldwide destruction. 2) Air pollution. 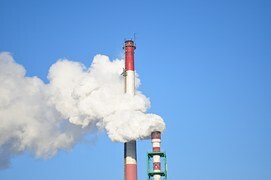 According to a new study by a group of international scientists, pollution from power plants, heavy industry, household sources such as stoves, furnaces and fireplaces, and vehicle exhaust contribute to heart disease, lung cancer, bronchitis and other serious diseases. Worldwide, pollution kills more than 5 million people a year, most of them in India and China, but a significant number in Europe and America as well. The estimate is that air pollution (forget water pollution from lead pipes like those in Flint, Mich., or any other sources) kills "almost 80,000 Americans every year." And that doesn't even count climate change and the potential threats to weather, agriculture and our entire way of life brought to us by global warming. Believe me, if Spanish-language immigrants, or Muslim terrorists or lone-wolf gunmen were killing 80,000 Americans every year, there would be an uproar. We'd be building a wall around everything! 3) Automobile accidents. Traffic fatalities went down for many years, due mostly to seat belts and air bags, so why should we worry about this? Because every day when you climb into your car you go out on the highway to face other drivers who speed, tailgate, change lanes without signaling, pass on the right, roll through stop signs, weave in and out of traffic, text and talk on the phone, and eat and put on makeup while they are driving. 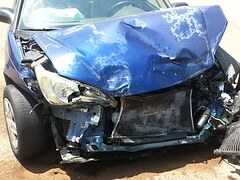 Car accidents are the biggest and most immediate threat to life and limb for average Americans. There were still over 32,000 fatalities on the road in 2014, and now, last year, the downtrend has been reversed. According to the National Safety Council some 38,000 Americans were killed, and another 4.4 million injured, on U. S. roads in 2015. It was the largest one year percentage increase in half a century. They say risks that are familiar to us, like dying in a car accident, are less scary than unfamiliar risks, such as dying in a terrorist shooting. As tragic as those shootings are, in the past decade fewer than 10 Americans per year have been killed by terrorists, compared to some 35,000 a year in car accidents. In over ten years of war about 2,500 Americans have been killed in Afghanistan. In Iraq there were about 4,500 Americans killed. I don't mean to minimize the tragic deaths in Afghanistan or Iraq. I mean to make us all more aware of the tragic deaths on the Americans roads, as well as the problems of pollution and nuclear weapons. And I wonder, is there anything the politicians -- or anyone else for that matter -- can do about it all? In January I went on my annual roadtrip to the Sunbelt. A couple of times I've flown to Arizona, where one of my sisters lives. But usually I drive to Florida, where my other sister lives. This year I was in Florida for a little over three weeks. I go alone, in part because B still works and doesn't get that much vacation time, and in part because B has a thing about Florida. She hates Florida. I got her to go with me one time. It was early in 2011, and we drove down together for a week's vacation. Then she flew home, and I stayed on for another week or so. I thought the experience might entice her to see the charms of Florida in February. Instead, it just confirmed her dislike of the whole snowbird thing. So now I drive down by myself. I visit my daughter in North Carolina on the way. I stay with my sister for a couple of days. I meet up with a friend and play golf once or twice. But most of the time I'm on my own. And to be honest, I get lonely. I enjoy being by myself for a while. But after three or four days, I get tired of it. Plus, I find there are a lot of things I don't do by myself. I feel uncomfortable sitting alone in a nice restaurant. So I mostly eat at diners or fast-food places, or get take-out and bring it back to my rental unit. I have gone to the beach by myself, but it gets boring pretty quickly. I wouldn't go to a live show by myself. I do go to movies or a museum or tourist attraction. One year I went to Epcot by myself. But all I did was remember how I'd gone to Disney with my kids when they were young, and how much more fun it was to share the experience with other people. So why do I do it? Because I can't stand the long, cold, lonely winter. I need a break. So I travel, and I travel alone. But like I said, I don't do too well as a single. I find I have too much time on my hands. I get bored. I feel awkward in social situations. I'm not a worrier, so I don't spend my time worrying about things. But I do sometimes fall into negative thinking, harboring regrets or missed opportunities. After a few days out on the road, enjoying my solitude, I start to get sick of my own company. It's been said that women do better on their own than men do. Perhaps as a general rule they are more sociable, or less self-conscious, or more receptive to new situations. I don't know. Maybe women early on realize that they will probably end up alone in the end -- either through divorce, or the death of their husband -- and so they're more prepared to be by themselves. Your guess is as good as mine. But if you want to know more -- and it's what got me thinking about this -- go over to Living Richly in Retirement. 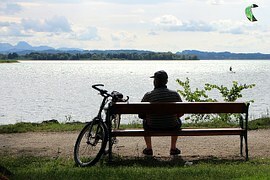 Barbara has a very interesting post about the perils and possibilities of living alone as an older single person. And like most women, she's better at it than I am. Today I have some news from around the country, plus a note on "what really matters." The news from Colorado. 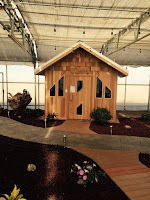 Laura Lee Carter offers a link to one of her most popular posts, which can only mean that everyone at this time of year must be thinking about taking a nice long dip in a Colorado Rocky Mountain hot springs. Laura Lee and her husband drove over to the Sand Dunes pool, "a moist, warm oasis in the middle of the dry, cold San Luis Valley." They went for the day, but there are places to stay overnight, including an RV campsite for people on the road. The news from New Jersey. Or wherever blogger Meryl Baer is right now. The author of Six Decades and Counting has been doing more traveling than Lewis and Clark! She and her husband spent five days in San Antonio discovering everything they never learned about the state of Texas back when they attended school in New York. Or, if somewhere in the distant past they did learn about Texas, the facts are long forgotten -- except of course for those as told through John Wayne in the movie The Alamo. But you don't have to travel to Texas to find out more, you can ride over to Visiting the Home of the Alamo to remember the ... well, you know. The news from Washington. On The Survive and Thrive Boomer Guide, Rita R. Robison, consumer journalist, reviews the top 10 articles from her blog for 2015. Robison’s readers especially liked articles on banking, prescription drugs, carcinogens in food, credit cards with chips, sunscreens -- and you can find them all with just one healthy click of the mouse. The news from New York. B and I took the train to New York City over the weekend, had dinner with my son and went to see My Mother's Brief Affair. The play stars Linda Lavin who has many dramatic credits to her name, including a turn as Alice in the TV show from the late 1970s and early 80s. She played a dying mother with two grown children and a very embarrassing secret. We both thought she did a fantastic job in this serviceable drama that doled out a bit of comedy along with its dramatic message. And the news from California. Kathy Gottberg of Smart Living 365 has just published a book of her best blog posts centered around the theme of rightsizing your life, especially as you retire. As she says, "Rightsizing isn't just about working or not working. Rightsizing is about eliminating the unessential and focusing on what really matters." 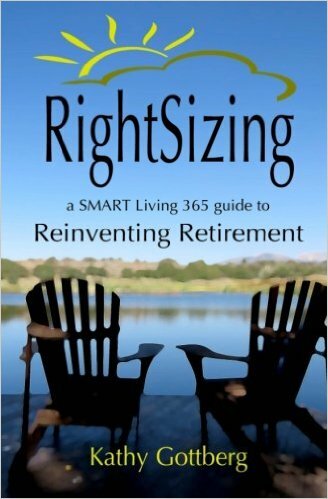 So I went to amazon and bought RightSizing: A Smart Living Guide to Reinventing Retirement, which I got for $2.99 (amazon subscribers can read it for free). I found one chapter particularly relevant to my life because I have always dreamed of owning a second home, probably on the beach somewhere, with palm trees wafting in the breeze. Well, we all know for most of us this is a pipe dream. But that hasn't stopped me from wishing and hoping, and even occasionally pouring through zillow ads for Florida condos or cottages in the Carolinas. In fact, last year I actually took a trip to Myrtle Beach with a friend of mine, looking for a seaside condo. The long and short of it is, my friend bought a condo and is currently, as we speak, enjoying spring weather on the Carolina coast. I did not buy a place. Because when it got right down to it, I do not want the responsibility, and I cannot really afford it, and the people who sometimes rent your place don't really pay all the costs and they're not the ones taking a risk, you are, if for whatever reason people no longer want to rent a place on the beach in South Carolina, not to mention the risk that your renters will probably break everything, maybe not all at once in an obvious college-students-trash-the-place kind of way, but because renters don't take very good care of a place and they bang things around and you end up replacing things every two or three years instead of every eight or ten years, and besides a condo near the ocean needs to be painted every other year and you have to buy expensive flood insurance. Wouldn't it be much easier to rent? Yes. That's what Kathy Gottberg confirmed for me in her chapter "Renting vs. Owning -- and Other Thoughts on Impermanence". b) Not buy it but feel cranky and depressed for the rest of the day? c) Try to guilt someone who loves you into buying it for you? d) Accept that you don't need it and save your money? She thought for a moment. Then she said: I'd pick b. She paused, then continued: Except then I'd go home, I'd feel bad about it, not just for the rest of the day but for several days after that. Then, finally, a few days later I'd be resenting it so much I'd go back to the store and buy it -- and by then the sale would be over, so I'd end up paying full price! Well, I dunno. She and I are just beginning the process of "rightsizing" our home. So all I can say is ... I hope she was kidding! Everyone decries the big money in politics and how politicians are bought and paid for by Wall Street and the Koch brothers. I agree there's a problem here; but I'm not sure what it is. Big money does buy access and advertisements. But without all the brochures, bumper stickers and television ads paid for by special interests, the only political voice you'd ever hear would come from just one source: the media pundits. Besides, does money even matter that much? Jeb Bush has all the money. (According to CNBC, Bush has received about $34 million in contributions from Wall Street, Clinton $17 million and Rubio $10 million.) But it's Donald Trump and Bernie Sanders -- love them or hate them -- who have ginned up the most attention and enthusiasm. How did they do it? Through the media. So really, it's not money that rules in politics, it's the media. And let's face it, the "mainstream media" (from MSNBC to FOX and everyplace in between) has sold out to big money just as much, or even more than the politicians. They'll do anything for ratings, for the ad dollar. Just look at how they're cashing in on Donald Trump! And by the way, if you are interested in the widening gap between rich and poor in this country, don't just blame Wall Street. That's part of the problem, no doubt, but it goes beyond that. Take a look at an article called Rent Seeking Is Too Damn High from the website FiveThirtyEight. So does this all say who I'm going to vote for? I'd vote for the candidate who's going to bring us together. But that's not Clinton or Sanders; it's not Trump or Bush. Amid all the political sturm und drang, there are recent rumors that former New York City Mayor Michael Bloomberg might get into the presidential race. And whatever happened to New York Governor Andrew Cuomo? I like Governor Cuomo. I like Michael Bloomberg, too, but then I'm from New York, and I don't know how many people share my enthusiasm. In the end I might have to swallow hard and vote for . . . well, I don't know. I guess I'm uncommitted, or just confused. But it doesn't bother me that Clinton or anyone else changes their mind, even if I don't always agree. I do not think there's any virtue in never changing your mind. To paraphrase economist John Maynard Keynes: When the facts change, you should change your mind. Or as novelist Hakan Nesser wrote, "It's only cows who never change their opinions." However, the New York primary isn't until mid-April. By that time over 30 states will have voted. The candidate will likely already have been selected. So, ultimately, it won't matter who I vote for. And in the general election, the Democratic candidate will win New York. The Democrat always wins New York. Just as the Republican always wins Texas. A vote only matters if you live in one of the ten or so swing states that really determine who the next president will be. So instead of all these primaries and caucuses, maybe we should have one big super national primary day, everyone voting at the same time. Does that make sense? And don't get me started on the electoral college. Four presidential candidates have won the popular vote, but lost the election: Andrew Jackson in 1824 lost to John Quincy Adams (but won outright in 1828); Samuel Tilden in 1876 lost to Rutherford B. Hayes; Grover Cleveland in 1888 lost to Benjamin Harrison (but beat him outright in 1892); and Albert Gore in 2000 lost to George W. Bush. Could something like that happen again? Boy oh boy, there would be quite an uproar if it did. I feel a certain responsibility to the public, because I know when people think fashion, they can't help but think Tom Sightings. But seriously . . . I was taking my honey B out to Valentine's dinner the other night, and I noticed she was wearing a very nice sweater. We were sitting at our table at a popular and lively restaurant that features international cuisine. I regarded the sweater and asked if it was new. She looked down, ran her fingers over the material. She thanked me for noticing and said yes, as a matter of fact, it was. Where did you get it? I wondered. Then she told me about a new website called Stitch Fit. Maybe you've heard of it? She'd learned about it from a friend. The idea is, you go to the website, answer a series of questions about yourself, and then the site puts the information into the computer and makes a selection of clothing that will suit your size, shape, coloring and personality. In other words, what Pandora is to music, Stitch Fit is to clothing. The site sends you five items of clothing. You keep what you want and send back the rest. B kept two of the five items -- the sweater and a stylish black vest -- and sent the other three items back. The clothes are moderately priced -- about the level of Macy's (or, maybe there's a broader range, but the computer just concluded B is a Macy's level shopper). Apparently, you can sign up to get clothes just one time, or on a recurring basis -- once a month, say, or once for each new fashion season. Two big benefits of the site: You no longer have to go to the mall and face the crowds, the noise, the frustration of trying to find what you want. Also, the algorithm on site figures out what clothes will make you look your best -- something (at least, according to B) you don't always know on your own. The only downside is that you have to return the clothes you don't want -- and there is a time limit. So you have to pay attention, or you end up buying clothes you have no use for. I don't know anymore about the site than that. To me it sounds like a great idea, and B likes it, at least so far. But I cannot give it my personal recommendation because I haven't tried it. Apparently, the site only sells women's clothing. So anyway, as I said, being a romantic type of guy, I was trying to be solicitous of her needs. "We're not in a rush," I said to her as we ambled through the women's shoe section. "We can stop somewhere if you want, you know, if you'd like to shop a bit." "Oh, I don't need to," she responded, airily. "I don't have to mix with the great unwashed at the department store. I have my own personal shopper now." Nervous About the Stock Market? The stock market affects my life, and I bet it affects yours as well. Those of us without a pension have our "pension" (if we have one at all) in the form of an IRA or 401K, which is likely invested primarily in mutual funds holding stocks and bonds. But even for those who do have a pension ... where do you think the pension fund gets the money to pay your benefits? Largely from the stock market. One of the most significant holders of stock in America is CalPERS, the pension fund for California state, school and public agency employees. Last year volatility in the stock market returned after several years of steady gains. The VIX, a measure of volatility also known as a “fear gauge”, has recently hovered between 20-30, representing 60 percent more volatility than a year ago. However, by historical standards, this is not unusual. From 1990 through 2014, the VIX spent nearly a third of its time between 20 and 30. Still, the uptick in volatility has been unnerving for many investors. The major stock market averages were essentially flat in 2015, while oil and other commodities were crushed. One of the culprits was the Chinese economy. But the headlines coming out of China obscure the fact that a lot of the U.S. economy is on fairly steady footing. We have record car sales, rising home values, low unemployment, low commodity prices for producers and low gas prices for consumers, strong corporate balance sheets, increasing profit margins, and decent retail sales numbers. Indeed the U.S. economy showed enough strength for the Federal Reserve to raise interest rates in December. What everyone wants to know is: Will markets continue to fall? When will they bounce back? 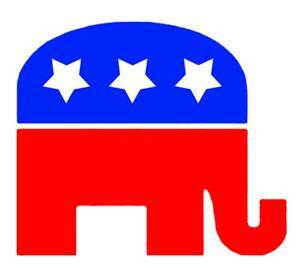 Is this a time to get more conservative or more aggressive? For the answer, we can either look at history, or the predictions of market analysts. I try to ignore the analysts. Why? An article Strategists: Full of Bull reviewed 186 market forecasts over the past 19 years and reported the average forecast was not only wrong ... it was more wrong than if you had made no prediction at all! Market analysts have a bullish bias, with only 9 percent predicting a down market in years when the market was down. So far, this year is no exception. Analysts have an average forecast for 8 percent growth. Who knows? That may come to pass. But so far the lousy forecasting ability of these experts appears to be intact. So most investors are best served by ignoring forecasts by people in the media who espouse their convictions with authority -- and end up being wrong. Stock market corrections are actually a normal part of equity investing. The S&P 500 has declined 10 percent or more 29 times from 1935 through 2015. The average decline was 21 percent, occurring once every 2.75 years. In hindsight, there are explanations for these corrections. Yet trying to predict when the next one will occur is impossible. By the way, the average rebound from those declines has been 68 percent. So let's look at what has actually happened over the past 70 years. The stock market has ended up declining in more than half of the years when it was down in January. The average yearly decline was 3.2 percent. But that doesn’t sound too scary when you consider that we are already down about 10 percent year-to-date. One interesting point to add is that the worst January of the past 70 years was 2009 when the market dropped 8.6 percent in January. Stocks continued to sell off for a couple more months, but then rebounded to end the year up 26 percent! Stock market corrections are scary and unpredictable. Market analysts use all kinds of statistics to explain (in hindsight) what happened. The reality of the situation is financial markets are primarily driven by investor psychology based on short-term events, and it’s very difficult to determine how greedy or scared people will get at any moment. Imagine if you had built a family business over the course of several decades. Today, your company is growing and highly profitable. Would you sell your company (or part of it) and buy it back every few months? Of course not. Yet today, investors can buy and sell shares in a nanosecond with very little transaction costs. This is why we have so much volatility. The short-term value of your investment portfolio is more reflective of investor sentiment than the long-term value of the underlying assets. It is helpful for investors to understand that market returns over the long run come down to two things: jobs and earnings. People will continue to buy products and services as long as they have jobs. Some people question the quality of jobs and the accuracy of the numbers, but job growth has exceeded expectations for the past year, and the unemployment rate is down to a healthy 4.9 percent. Earnings of publicly traded companies are historically traded by investors at a multiple of 15 times. This means if a company earns $1 per share, its stock trades at $15 per share. When the company grows its earnings, there is typically a corresponding increase in its stock price. The U.S. stock market is currently valued at about 15x earnings, near its historical average. Investors are usually rewarded for selling when earnings multiples rise significantly above their long-term averages and for buying when they fall below. In addition, having a globally diversified portfolio enables us to invest in markets that trade at discounts to ours as well as into asset classes that are out of favor (or, "on sale"). Will companies be able to continue to grow and hire more people? Consider this: despite what may happen in the next couple of quarters, the global population is expected to increase from 7.3 to 9.6 billion people between now and 2050. That is a lot more customers to buy cars, computers, food, clothing and everything else. The world is growing, and so the companies in your investment portfolio are likely to find ever-more-profitable ways to serve their growing client bases. The most important part of successful investing is to find a viable strategy and stick with it. The worst thing to do is to second guess yourself because of a disappointing period. If you just stay the course, you can probably be “average”. In most things in life we do not strive to be average. However, the average returns for stocks, bonds and balanced portfolios are the safest and surest way to grow your retirement portfolio over the long term. Most people think in a time horizon of weeks or months; and the common way people predict the future is to look at recent experience and expect it to continue into the future. The reality is that financial trends reverse themselves abruptly, making it hard to see any pattern in the time horizons that most investors consider. As an investor you have to train yourself to think in terms of years, even decades. Also, sometimes the “averages” seem suspect because we assume that yearly stock and bond market returns would be clustered around the average. But that is not the case. Market returns in any given year are rarely close to their long-term averages. For example, the average return for stocks from 1926 to 2014 was 10.2 percent. How many times during those 89 years do you think the annual return fell between 8 and 12 percent? Incredibly, that only happened six times. So you cannot expect an “average” return this year, or next. You may get much more or much less. But history has shown that over time, average returns will make your retirement plan work, even if in any given year, that may be hard to see. But as I covered in more detail in my article When Will You Need The Money? with time comes predictability … and averages. A lot of things puzzle me about the state of affairs in this country. For example, we remember that the "youth vote" was so important back in 2008 to galvanize the Obama phenomenon and help elect the first black president. President Obama's signature accomplishment is the Affordable Care Act -- except now the Affordable Care Act is running into problems, mostly of the financial kind. Why? Because not enough young people are signing up to get medical insurance. So it turns out that the people who were behind this major social program are the very same ones who are now putting it in jeopardy and could even cause it to fail. You just can't trust those young people. Meanwhile, all the pundits are still talking about the youth vote, as if there's something special about it. They say Bernie Sanders represents the future because he is popular on college campuses. But they blast Hillary Clinton because her supporters are older, and so the supposition is that she represents the past. Would the "youth vote" even recognize this place? I actually applaud the 74-year-old Sanders for appealing to young people. I think that in itself is to his credit. But my question is: What's so special about the youth vote? My vote counts every bit as much as a vote cast by anyone under 30. And people in our demographic group actually do vote -- a lot more than 20-somethings do. I'm in my 60s and plan to be around to vote in at least another three or four presidential elections, not to mention plenty of elections for senator, congressman, governor and everything else in between. So I'm the future, too. If you want to know what the youth vote is really about, check out this Salon video to see how much college students know about American history vs. what they know about Snooki and Brad Pitt. And then ask yourself: Do we really want to put our future in the hands of these young people? He was born in March 1914 in a small, remote town called Rumford, known primarily for its paper mill. The population was 898 in 1890 but grew to over 8,000 by 1920. Then came the Depression and the paper business was decimated. Today the population of Rumford is back down to about 5,000, and the town is known mostly for a nearby ski resort. His father, Stephen Marciszewski, had immigrated to the United States from Poland in 1903. He changed his name and married Josephine Cznaranecka from Buffalo, NY. The father worked as a tailor, and his son, who was shy but also known to have a temper, worked with him in the tailor shop as a boy. He attended a small liberal arts college, then went to Cornell University where in 1939 he collected his law degree. After a stint in the Navy, he went home, not to Rumford, but to the nearby "big city" of Waterville. He started practicing law, but after a few years he was bitten by the political bug. Do you know who he is? He joined the Democratic party in his solidly Republican state, then ran for the state legislature and won. A few years later, the Democratic party was looking for somebody to stand for governor. He agreed to run, out of a "sense of duty," even though nobody expected a Democrat to win. The story goes that he had been offered a full partnership at a prestigious law firm. The job was tempting, since he had a growing family (he eventually had five children), along with some unpaid medical bills and a mortgage on a new house. But he nevertheless stuck with his political commitment, choosing "society over self," and went forward with the campaign. When he won his upset victory and entered the governor's office, he reportedly owed $5,000 in medical bills, and his salary as governor was $10,000 a year. He served out his term and was re-elected. Then he decided to run for the U. S. Senate. He won with 60 percent of the vote and was re-elected three times, in 1964, 1970 and 1976. In the Senate he developed a reputation for honesty and straight talk, but that made him run afoul of Lyndon Johnson, especially later on when he came out against the Vietnam War. Nevertheless, he worked tirelessly bringing home money and projects to his home state of Maine, and he became an early environmentalist, campaigning for laws to curb pollution and passing legislation requiring lower emissions from the automobile companies. In 1968 he was nominated for vice president, joining Hubert Humphrey in opposition to Richard Nixon. The Democrats won only 13 states, losing 301 to 191 in the electoral college -- as third-party candidate George Wallace took five southern states and 46 electoral votes. 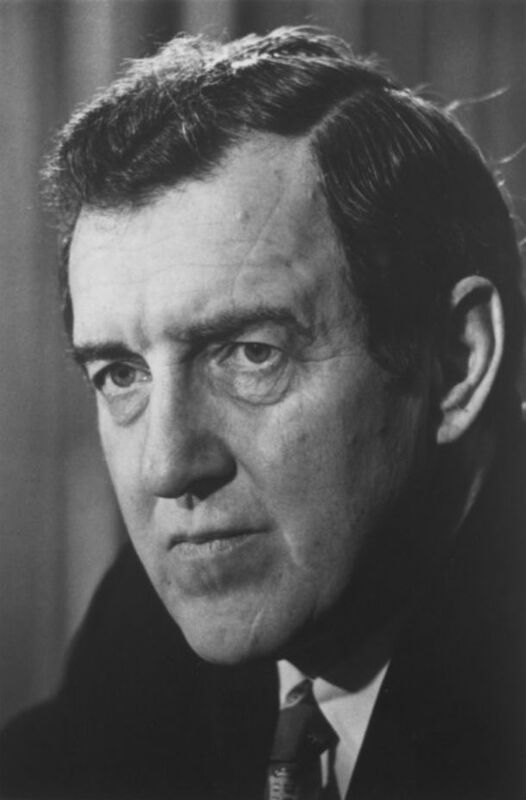 So Edmund Muskie went back to the Senate where he was a fiscal conservative, trying to hold down excessive government spending, but also continued to support liberal social causes such as civil rights and the environment. In 1972, Muskie threw his hat into the presidential ring. Initially, he was considered the front runner. He won the Iowa caucus. But his victory was somewhat hollow as George McGovern made an unexpectedly strong showing. Muskie also won the New Hampshire primary, but again, by less than expected. There were rumors in the press that Muskie had taken drugs. There were claims that he had used the derogatory term "Canucks" to refer to French Canadians. Then a newspaper reported that Muskie's wife drank too much and used off-color language. Muskie stood up and made an impassioned defense of his wife during a New Hampshire snowstorm. The press said Muskie broke down in tears. Muskie claimed he wasn't crying; there was melting snow on his cheeks. The issue of the tears was never settled, but either way his reputation as the strong, reasoned, level-headed candidate was tarnished, and his presidential campaign fell apart. Ed Muskie went back to the Senate until 1980 when President Jimmy Carter named him Secretary of State, after Cyrus Vance resigned in opposition to Carter's ill-fated attempt to rescue the American hostages in Iran. Muskie tried to use diplomacy to free the hostages, but he ran out of time as Carter lost the election to Ronald Reagan. At the end of his term, Carter awarded Muskie the Presidential Medal of Freedom, on Jan. 16, 1981. Muskie stayed on in Washington and practiced law. In 1987 he was appointed a member of the President's Special Review Board known as the Tower Commission to investigate the Reagan administration's role in the Iran-Contra affair. The commission ultimately implicated Oliver North but found that Reagan himself was only accountable for a "lax managerial style." Muskie died in in 1996 at age 81, and is buried in Arlington National Cemetery, lauded as a man who according to author David Revin, "sees change not in radical, but incremental terms," and who "sees leadership as identifying problems, altering people, persuading them to a course of action and assembling the political muscle to put it through."